The Rhyd Ddu Path is known as the quietest route up Snowdon. 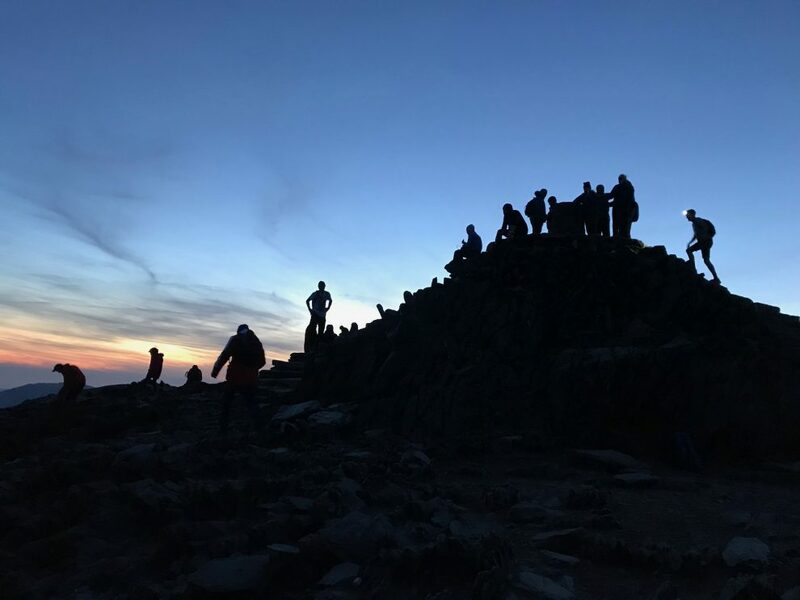 Once called the Beddgelert Path and used for the first official ascent of Snowdon in 1639, the Rhyd Ddu Path (pronounced ‘rheed-thee’) is the least touristy route to the top of Snowdon. The route is not difficult and is a good ‘step-up’ from the Pyg Track. 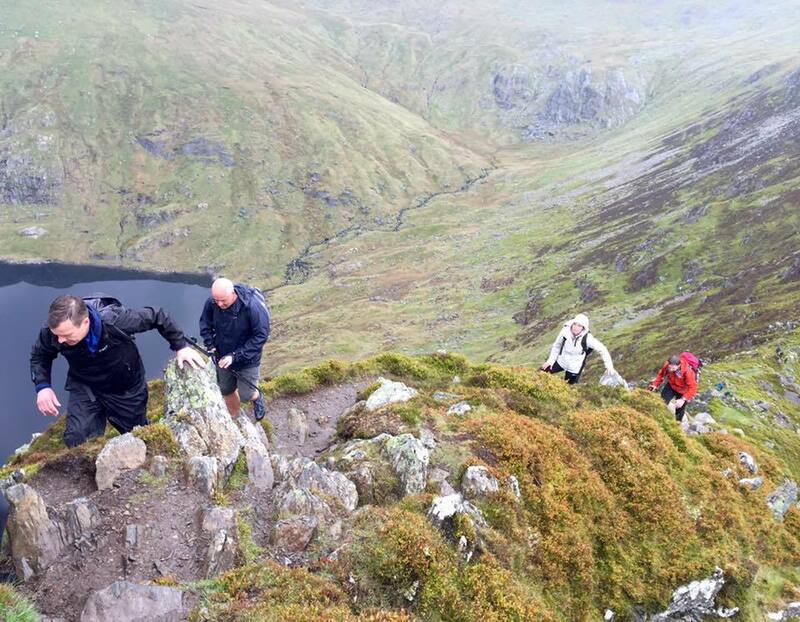 One of the best routes on Snowdon and with views to rival any of the other Snowdon routes. 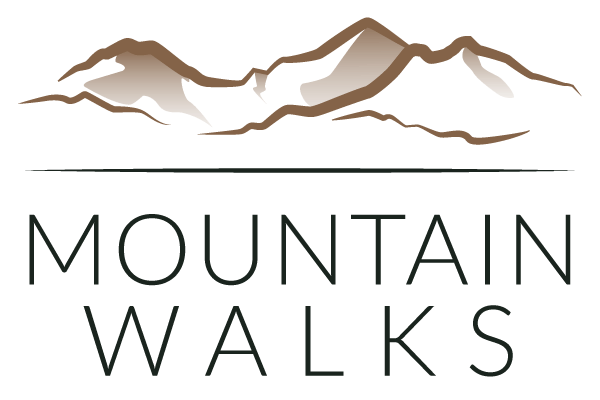 As well as being quieter, it provides walkers with breath-taking views of the Nantlle Ridge, Yr Aran and the South Ridge of Snowdon. It also offers a dramatic ridge walk, which is suitable for all abilities. However, the steep drops do require a bit of a head for heights. 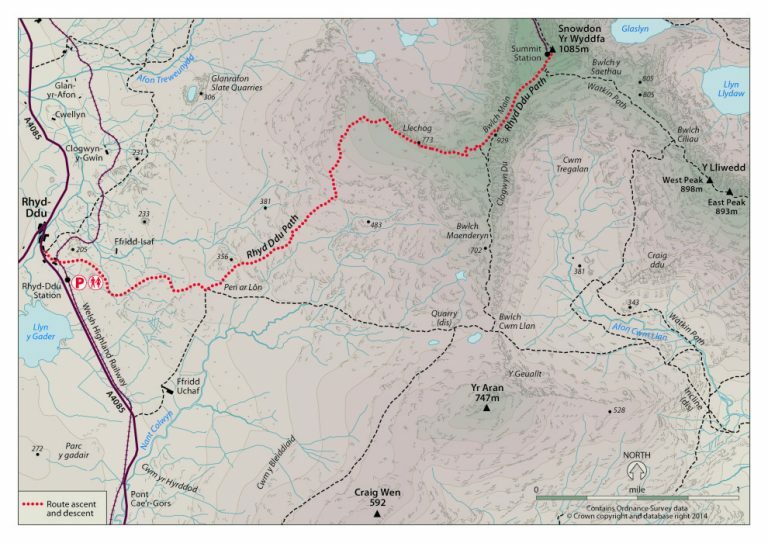 This is a fantastic route in good/fair conditions but in winter this is a route is best avoided unless experienced with the correct equipment. 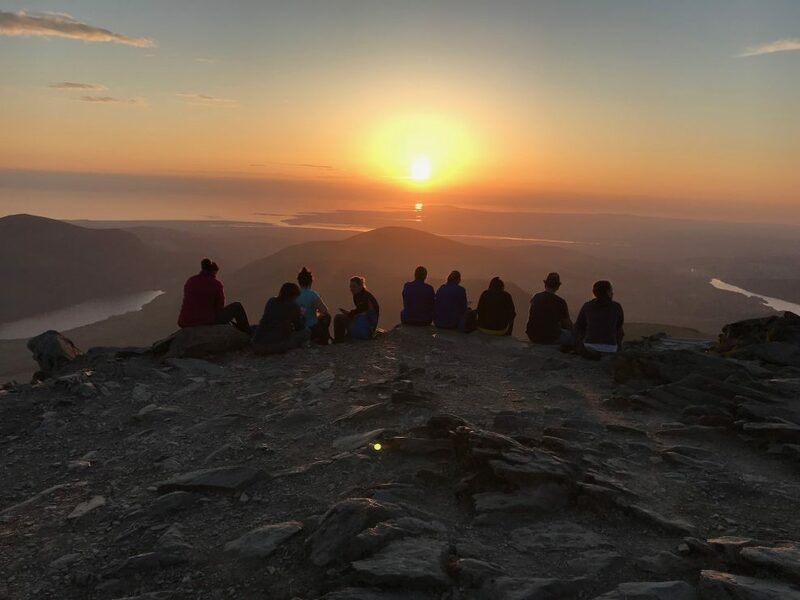 Rhyd Ddu Path also offers walkers a different side to Snowdon but with equally breathtaking views of Snowdonia. The route starts from the Rhyd Ddu railway station car park in the small village of Rhyd Ddu. Head past the toilet block on your left and cross over the railway track through the kissing gates. Follow the loose scree track for 1.5km. As you head gradually uphill you will go past some old copper and slate mines. You should eventually turn left through a gate (SH 582 524) signposted for Rhyd Ddu. The path continues north-east over Cwm Caregog for the next 1.5km. You will go through some rocky and wet sections with the occasional bog. Looking east, the full splendour of the South Ridge is on show with the 747m peak of Yr Aran to the right. The path will rapidly increase in steepness, and after a short and easy scramble, will take you onto Llechog ridge (SH 596 538). 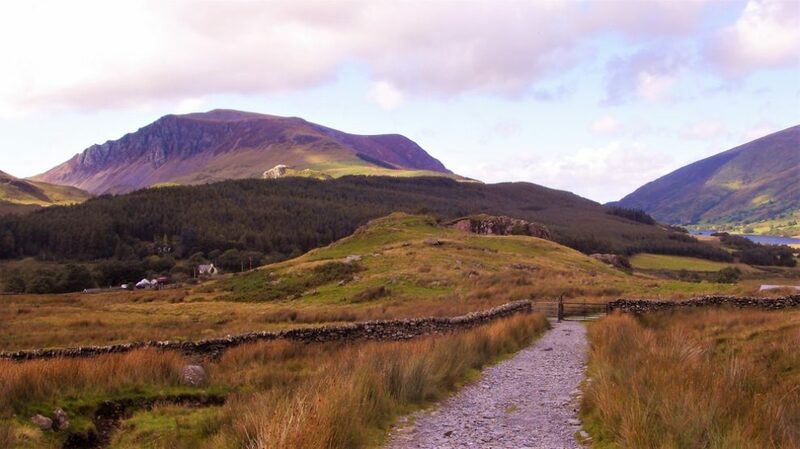 This offers fantastic views north over Cwm Clogwyn and towards the Snowdon Ranger Path. Below you will see the lakes of Llyn Nadroedd, Llyn Coch and Llyn Glas. It’s at this point where the route becomes quite exposed so do be careful. Follow the path as it zigzags up a loose and steep section until it intersects with another route leading from the South Ridge (SH 604 536). Head north over the sharp ridge of Bwlch Main (the Saddle), which is recognisable by its steep drops either side. Follow the exposed ridge for a 700 metres, taking particular care in wet and cloudy conditions. The ridge is simple to traverse but careful foot placement is crucial on a few sections. As the ridge begins to flatten out, head towards the summit along a gravel path past the large standing marker stone for the Rhydd Ddu Path and Watkin Path (SH 609 542). The summit is now just a few hundred metres away. The last rocky section takes you past some pinnacles towards the summit café. Walk directly past the café (you’re not ready for a drink yet!) and head up the steps to the summit. Head south going directly past the café entrance until you reach the ‘Watkin Path 200m’ sign. After a few minutes you will see the ‘Watkin and Rhyd Ddu Path’ sign. Ensure you follow the sign to take the correct route down. Take care on the decent, particularly crossing the exposed ridges as these can be intimidating in strong winds. Some parts of the decent are steep with loose rock so do take your time on these sections. After descending the ridges the walk becomes relatively flat again as the path stretches across Cwm Caregog. Turn left and head down the gradual incline. You will go past the old mines again and soon finish at the Rhyd Ddu station and the car park. We have a work in progress ‘Snowdon Tips & Advice‘ blog post which may also help answer some of your questions.